Of the 10 crorepatis, three each belong to the BJD, the Congress and the BJP while one is an Independent candidate. The first phase of polls will be held in Koraput, Kalahandi, Nabarangpur and Berhampur Lok Sabha seats. Barring Berhampur parliamentary constituency, Koraput, Nabarangpur and Kalahandi are part of KBK (Kalahandi - Bolangir-Koraput) region, infamous for its poverty. 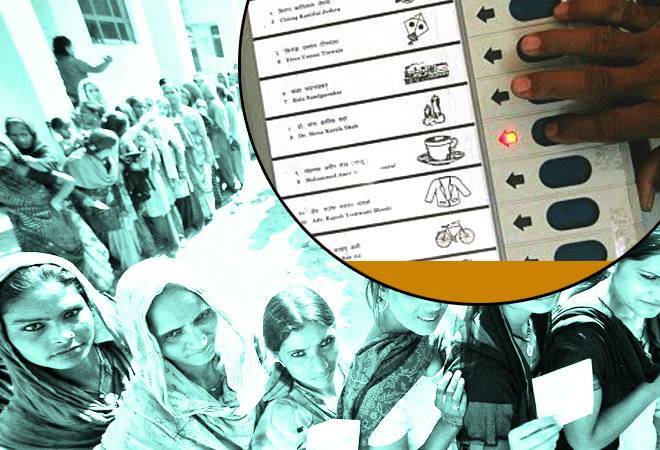 "Of the 26 Lok Sabha candidates, 10 (39 per cent) are crorepatis according to their affidavits filed with the Election Commission of India," said Ranjan Kumar Mohanty, state coordinator of Odisha Election Watch, a part of the Association for Democratic Reforms (ADR). Congress' candidate for Berhampur Lok Sabha seat, Chandrasekhar Naidu, is the richest candidate with assets worth Rs 36 crore followed by the Bharatiya Janata Party's Nabarangpur nominee, Balabhadra Majhi with assets worth Rs 8 crore. Jayram Pangi, the BJP candidate from Koraput Lok Sabha seat, has assets worth Rs 4 crore. In the same KBK region, Rajendra Kendruka, a CPI(ML) Red Star candidate from Koraput seat, has the lowest asset of Rs 565 followed by Independent candidate K Shyambabu Subudhi in Berhampur seat with Rs 10,000 assets. CPI(ML)(L) candidate Damodara Sabar from Koraput has total assets of Rs 15,000, the ADR report said. The average of assets per candidate contesting in the first phase of Lok Sabha elections is Rs 2.67 crore, Mohanty said. Mohanty said, 10 candidates including Congress candidate from Nabarangpur Pradeep Kumar Majhi, have not declared their Income Tax Return (ITR) details. Of the total 26 candidates, 12 have educational qualification between class 5 and class 12 while 14 candidates are graduates and above, the report said. Six nominees (23 per cent) have criminal cases against them including two from the BJP, three from the Congress and one from CPI ML) Red Star. Of the 26 candidates contesting from four Lok Sabha seats, only two are women.